1. In the universe, the realm of living creatures each of which is a miracle and created by God. 2. The prophet Muhammad (PBUH). 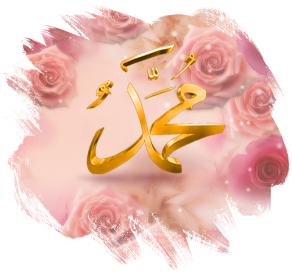 This part has been prepared in order to prove the rightness of the cause of Hazrat Muhammad (PBUH) who is the second one of the three main instructors that let us know our Lord and show the proofs of the prophethood of him as an apostle of God. Proving that Hazrat Muhammad (PBUH) is the apostle of God and His cause is right also means to be proving that the Qur’an is the book of God and its teachings are true, which is one of its supreme cause. For the utmost matter of Hazrat Muhammad (PBUH) is proving the existence and oneness of God. Accepting Hazrat Muhammad (PBUH) as a prophet also means accepting other fundamentals of belief such as resurrection after death, angels and fate. For these fundamentals of belief are proved and explained in the Qur’an, which is conveyed to us by Hazrat Muhammad (PBUH). For this reason, we always need proofs of His prophethood. For we have many enemies that try to destruct our belief primarily the devil and its student, our nafs (the evil commanding soul). So, we need to keep these truths alive in our inner world and not let the students of evil attack us. With this aim, we will try to explain some of the proofs of the prophethood below. However, it should be known that what we are going to present here about the proofs of the prophethood is not restricted with the information here. What we will present here is only a drop of water from an ocean. Even thousands of books are not enough to explain the prophet Muhammad (PBUH) from all aspects. However, we will strive to achieve this as much as possible and anyone who wants more information should refer to the Risale-i Nur Collection by Badiuzzaman Said NURSI.